Preparations are forging ahead to stage the third Middle East & Africa FinTech Forum in the kingdom, under the patronage of the Central Bank of Bahrain (CBB), which organisers claim will be the ‘premier’ conference of its kind in the region. Details were announced by Bank ABC and AFS (Arab Financial Services) who say the forum, to be held early next year, will once more bring together internationally-renowned thought leaders, practitioners and innovators from the FinTech and artificial intelligence (AI) arenas to discuss a wide range of issues including the future of banking, potential impact of AI and how it will transform the future, open banking, crowd-sourcing and financial inclusion. Sael Al Waary, deputy group CEO of Bank ABC and chairman of AFS, said: “Banking is beyond disruption. Huge advances in digital capability, AI, and greater financial inclusion are changing the way we do banking. The goal for banks is to proactively communicate the information customers want before frustration and fury sets in when they call a contact centre or branch and look for an alternative way to do business. Understandably, the potential customer is not keen to search information through keyword-based search engines or wait a long time over the phone or in a queue. 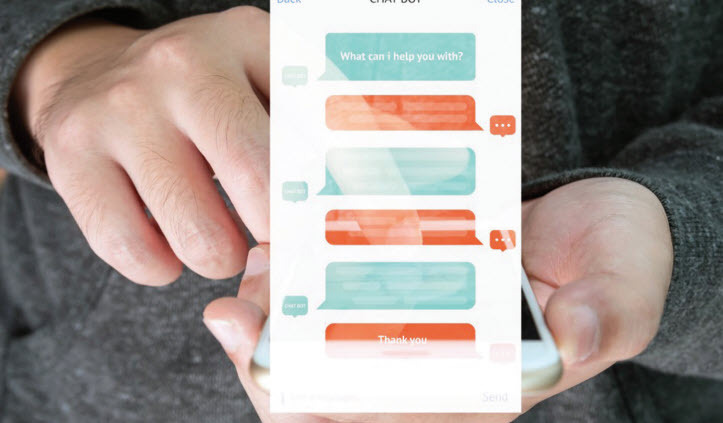 Natural-language search engines and chatbots can overcome these issues and allow the customer to search for information like ‘how to open a bank account’ in a simple, immediate and conversational way. In general, these easy-to-use, intuitive and multichannel tools reduce time and provide people with the customer experience they want, maximising it at the same time. It seems that big banks have strong AI applications in development and some of them are already in use. According to a survey conducted by Accenture on 600 bankers, 76 per cent of bankers think that over the next three years most banks will develop and make artificial intelligence interfaces available as their first point of contact for customer interaction. The forum will examine technology’s impact on both banks and humans, as well as the evolution of the customer experience. “We are witnessing massive growth in new AI-based solutions on our daily lives and a deeper understanding of these trends is critical to shape the future of the financial industry,” added Sael. He believes that hosting the third FinTech Forum reflects a ‘commitment to Bahrain and the region as a whole’. “This event has become the most prominent FinTech conference in MENA and supports Bahrain’s vision to become a leading FinTech hub,” he said. The FinTech Forum is set to feature the region’s widest congregation of business leaders, FinTech entrepreneurs, policy makers and regulators, representatives of the investor community and some of the financial industry’s largest organisations who will discuss and promote the next generation of FinTech innovations in payments, artificial intelligence, open banking and blockchain technology. As reported by FinTech Focus, AFS, a leading payments company, is the inspiration behind the popular digital bWallet, launched in partnership with telecom and Internet service provider, Batelco, which a growing number of smart phone holders are using to pay for goods and services instead of cash. The last MEA FinTech Forum successfully brought together leading and well-regarded global experts and industry leaders in a highly-engaging format of talks and discussions addressing the most pressing issues in the fast evolving FinTech landscape. More than 450 delegates attended the event, including representatives from the central banks of Jordan, Egypt and Bahrain and 40 banks and financial institutions from the MENA region. In his opening speech at the event Sael told delegates that almost $100 billion has been invested in FinTech globally since 2010 and he predicted a number of key developments in the industry in 2018, one of them being greater governmental support to promote FinTech innovation being generated, ringing true close to home with entrepreneurs and starts-up receiving backing, help and advice in partnerships with professional accelerators, for example, and CBB governor Rasheed Almaraj’s support for this event. He also noted that going ahead, customers will set the agenda to shape the future of banking, reiterating Microsoft’s principal founder Bill Gates’ words: ‘We need banking but we do not need banks’. In addition, he foresees an explosion of frictionless payments in the region, as initiated by bWallet service in Bahrain. “While all of this is happening, Artificial Intelligence will find application in almost all areas of banking, from front-office, to credit scoring to even advisory … and cloud banking will bring more scalability and agility at a lower cost,” he added. Sael predicts that Blockchain technology will soon become mainstream, revolutionising banking operations and financial inclusion for the two billion unbanked people around the world. He concluded by emphasising the need for collaboration between banks and FinTech start-ups, which would combine capital and innovation, economies of scale and agility, customer data and customer experience, regulatory and technical know-how. “I have always believed that disruption is a catalyst of change and opportunity ... at AFS we are optimistic about what lies ahead,” he said. That optimism will likely continue to bear fruit at the 2019 forum which is expected to be an even bigger event with wide representation from all industries across the region. It will be held at the Ritz-Carlton Hotel, Bahrain on February 20-21, 2019.